Having a cable assembly will help make your power usage smarter and sharper. A cable assembly helps by putting all the wires together in a convenient package. At home, it can be very annoying to have many plugs, cables and wires jumbled all over the floor. It’s an eyesore, not to mention a tripping hazard. You can imagine if it’s annoying at home, it is even more annoying in the workplace, or in the machinery. Bundling wires together keeps everything in its place and makes it clear what is running to where. Typically, a cable assembly provides the power of several different cables, but without the mess. They are all in the same place running in the same direction, but in one piece. They are often protected by an exterior sleeve, which in effect, turns them all into one big bundle, safe and out of the way. Those not in a sleeve can still be bundled and protected by a clip at each end. They finish with a single plug to insert into the power source. In addition to neatness, a cable assembly is easier to install and easier to replace or maintain. 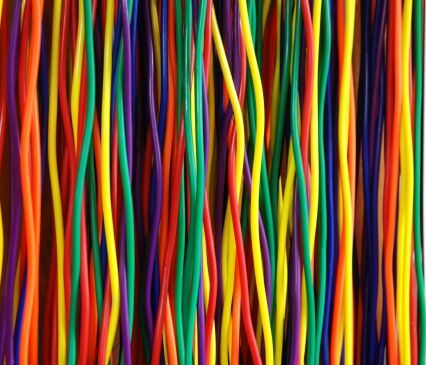 Colors, stripes or other markings make it simpler to tell the wires from each other, which makes it easy to change one, or determine which one has a problem. Even those that are covered with a sleeve have a bit of the assembly exposed to make identifying and getting to them easier. They can be used for transmitting information, such as fiber optic cables, but the more everyday use is for power. Power and signaling cables can be combined into the same cable to save even more time and expense; they can be used in all kinds of industries – automotive, aerospace, construction or heating. The medical industry can use them to make sure their extra-sensitive equipment is safety equipped and protected. The military uses them when they need to protect or operate something that has to withstand variable climates and conditions. Each industry has its own specifications. Having the cables bundled makes them less likely to suffer damage. Not only can they be damaged by dust and water from being exposed, the damage of the vibrations from the movements along the cables is much lessened as the cables are stronger in a bundle. This all means that there are less shorts in the wiring, and less general wear and tear, which protects the machinery. Due to this, wires will not need to be replaced as frequently, but when they do need to be replaced, it will be much easier to do so, which will save money in labor and installations costs. Most industries have their cable assemblies custom made according to the standards and needs of their role. The assemblies will likely be made manually, as the human hand is the best tool for the job. The assemblies are completely customizable as they will differ in size, insulation materials, filler materials, wires and many other things. If you are looking to optimize your power usage and make a smarter, and safer work environment, contact us at Meridian Cable today.